Improving India's transportation infrastructure will help open new markets within the country. Can India Overcome Supply Chain Obstacles? Supply chain management, the regulatory environment, rural markets, and e-commerce remain India's obstacles to growth, according to Rick Blasgen, president and CEO of the Council of Supply Chain Management Professionals (CSCMP). "India could accomplish more if it had better infrastructure and the ability to scale up to get products to its villages," Blasgen noted during a CSCMP seminar in Kolkata, India. For example, the country passed a food security bill, but has yet to implement it. 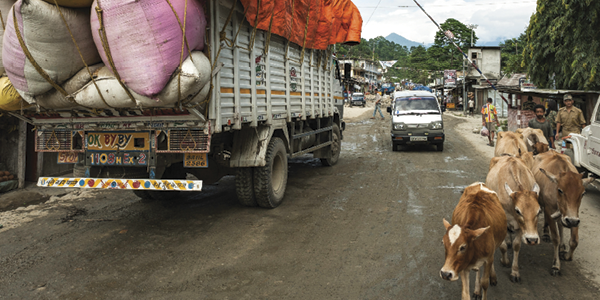 Getting rice and food grains to villages remains a supply chain challenge. "There's going to be a huge opportunity once infrastructure bottlenecks are removed," Blasgen notes.